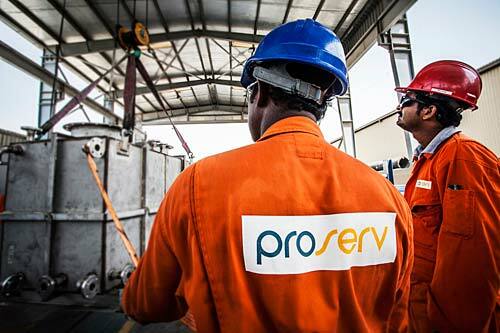 Energy services company Proserv has been awarded a series of contracts worth a combined value of more than USD 11 million for its production control new-build and after-market services in the Middle East. In the UAE, Proserv will be engineering and manufacturing wellhead control panels, hydraulic power units (HPUs) and chemical injection systems to national oil companies, service companies and engineering, procurement and construction (EPC) companies, estimated to be worth around USD 10 million. Key to the awards is the strong installation, commissioning and life of field service offering that is unique to Proserv in the region. Earlier in the year, Proserv officially opened its new Saudi Arabia facility and the company has recently secured its first orders for the provision of preventive maintenance and support services for HPUs in the Kingdom for its installed base of equipment. The second win for the team involved the manufacturing and supply of emergency shutdown systems. All orders are expected to be delivered in Q3 and Q4 of this year. Proserv has invested significantly in its new facility in Saudi Arabia in order to expand its local manufacturing, project execution and service capabilities. The new 1,800-square-metre facility, located in Dammam, in the eastern province of Saudi Arabia, will provide engineering, manufacturing, commissioning, after-market support and training services to onshore and offshore clients. Proserv is a technology-driven company providing products, services and bespoke solutions to clients across the drilling, production and decommissioning market sectors. In the Middle East region, Proserv has operations in Dubai, Abu Dhabi, Qatar and Saudi Arabia and employs around 275 people. Globally, Proserv operates worldwide through 22 operating centres based in 12 countries and the company has won a string of industry awards over the years in recognition of its business success and technology achievements.